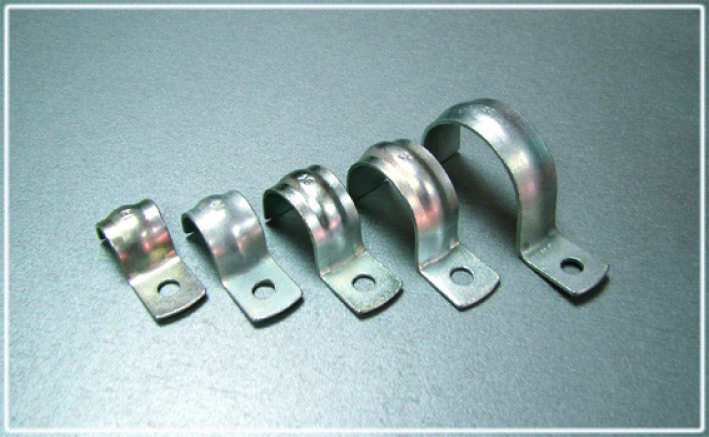 Metal mounting clip (CMM) is designed for the mounting of the metal hoses to the different types of surfaces, as well as the other items, the cross section (diameter) of which corresponds to the inner diameter of the bracket. СММ-6 6 9,5 6,5 1,0 50 Galvanized steel 0,005 1210064 шт. СММ-8 8 12 6,5 1,0 50 Galvanized steel 0,005 1210084 шт. СММ-12 12 15 6,5 1,0 50 Galvanized steel 0,006 1210124 шт. СММ-15 15 18 6,5 1,0 50 Galvanized steel 0,007 1210154 шт. СММ-18 18 21 6,5 1,0 50 Galvanized steel 0,008 1210184 шт. СММ-20 20 23 6,5 1,0 50 Galvanized steel 0,009 1210204 шт. СММ-22 22 26 6,5 1,0 50 Galvanized steel 0,009 1210224 шт. СММ-25 25 29 6,5 1,0 50 Galvanized steel 0,010 1210254 шт. 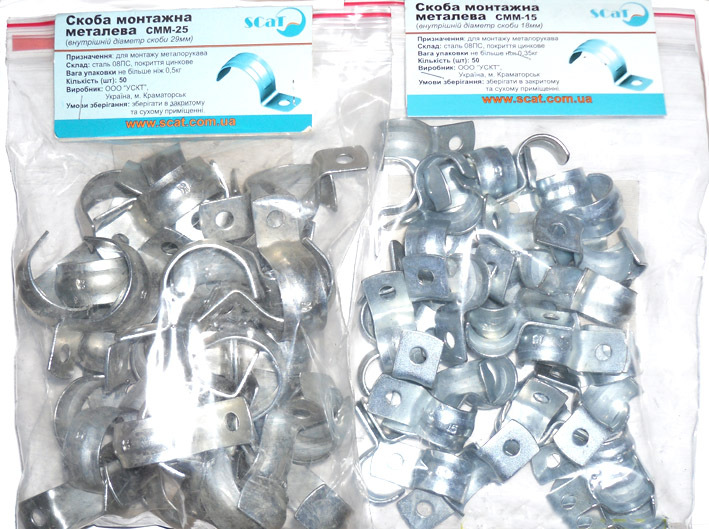 СММ-32 32 38,5 6,5 1,5 40 Galvanized steel 0,020 1210323 шт. СММ-50 50 58 6,5 1,5 20 Galvanized steel 0,034 1210502 шт. 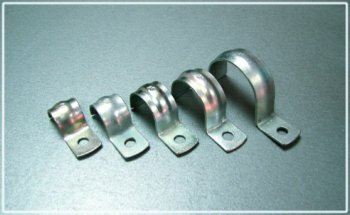 Examples of mounting of the metal hose with the help of metal mounting clip.